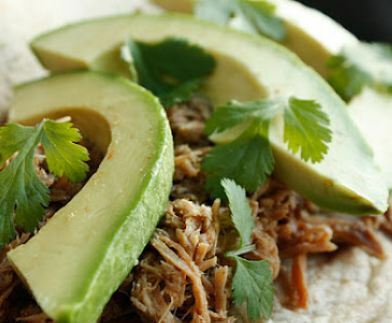 Cinco de Mayo is this week, so I thought we would stick with a theme with our crockpot meals. This Mexican pork roast makes the best tacos and burritos! All the ingredients can be chopped and placed in a freezer bag with the pork ahead of time. Then you just have to dump the whole thing in the crockpot on a busy day! Place onions and carrots in a 5qt or larger crockpot. Rub pork with seasonings and place on top of vegetables. Add water. Cover and cook on low for 8-10 hours.